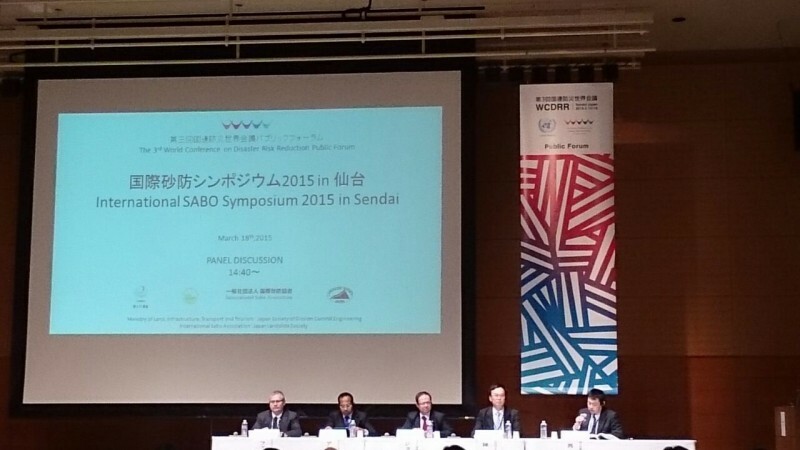 The International SABO Symposium 2015 in Sendai was held on 18 March 2015 as one of the Public Forums related to the Third UN World Conference on Disaster Risk Reduction (WCDRR) with participation of approximately 280 persons of government officials, engineers and researchers in the field of SABO (sediment disaster risk reduction) from 16 countries and territories. 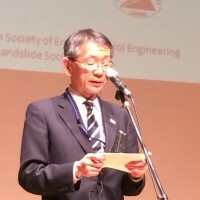 Under the theme “Challenges to Reduce the Risk of Sediment Disasters Caused by Climate Change and Urbanization”, the Symposium conducted programmes including Keynote Speeches and Panel Discussion. Many sediment disasters are occurring every year all over the world, causing a great deal of irreplaceable human losses and significantly impeding the economic and social development. Sediment disasters give serious damage especially to vulnerable people such as the poor, women, children and the elderly. “Climate Change and Urbanization” are main underlying disaster risk factors and will trigger and exacerbate sediment disasters with more frequency and greater magnitude in the future. Therefore, sediment disaster risk reduction is essential to secure a sustainable development. 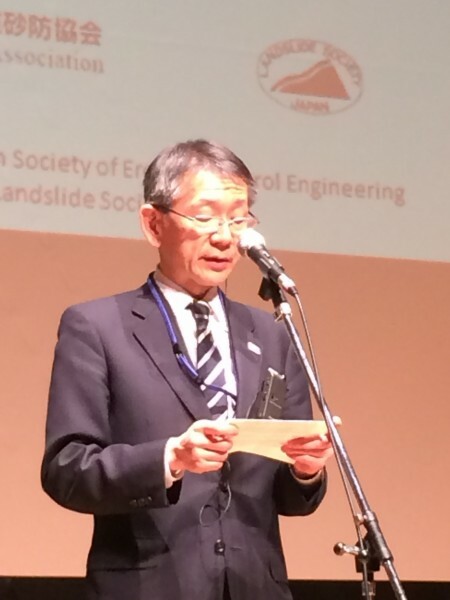 It should be noted that these issues are included as key issues in the Sendai Framework for Disaster Risk Reduction 2015-2030 (Post-2015 FDRR), which has been adopted at the 3rd WCDRR. Now we participants understand that the characteristics of sediment disasters are different from country to country according to the natural, economic and social conditions of respective country; Measures against disasters are also different according to technological level, financial resources, organization structure and historical background. 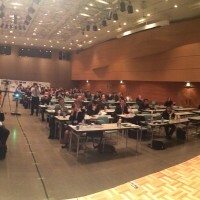 Based on these discussions and understanding, while respecting initiatives of each country and giving special attention to the global issues “Climate Change and Urbanization”, the International SABO Symposium 2015 in Sendai recommends all the countries to promote sediment disaster risk reduction for sustainable development with priority on following actions. Monitor the influence of global changes, including climate changes on sediment disasters and formulate national climate change adaptation strategies. Prepare detailed documentation of sediment disasters, as far as feasible, shortly after the disasters have occurred, for hazard assessment, timely evacuation, effective emergency operation and smooth rehabilitation. Prepare accurate sediment disaster hazard/risk maps to make people aware of the possible risks and monitor the changes in risk and land-use, making use of land observing technologies such as advanced sensing system and geo-referenced image technology. Restrict development in hazardous areas, incorporating the maps into land-use regulation and urban development planning. Improve sediment disaster forecasting and warning systems at national and local levels and ensure information/communication to targeted stakeholders to prevent human casualties. Develop geo-hydrological observation systems and relevant technologies. Promote training and education on sediment disaster risk reduction (SDRR) in communities and schools. Increase investments in SDRR to save human lives and properties, and to foster sustainable development. Prepare technical guidelines and enact relevant laws and ordinances to facilitate investments. Increase investments in advanced research for better understanding of triggering and process of sediment disasters, improved hazard mapping and monitoring and modeling of sediment disasters and effective disaster mitigation measures. Prepare national and local SDRR plans as a part of the national disaster risk reduction plan to be prepared following the Post-2015 FDRR in each country. Establish Global Sediment Disaster Statistics in association with the Global Disaster Statistics launched during the WCDRR and make data widely available. Promote the exchange of knowledge and information among those concerned with SDRR through communication oriented official web sites such as the International SABO Network. 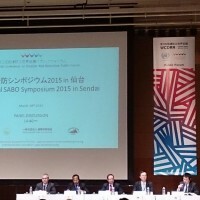 Provide engineers, research scientists and government officials with increased opportunities to exchange data, information, knowledge and experiences on SDRR such as regular international meetings including the International SABO Symposium. Strengthen disaster risk governance through participation of relevant stakeholders, especially local residents in risk area for proper land-use, relocation, early warning and evacuation and implementation of structural measures.